It took a year for four people on Team Hassenplug, led by Steve Hassenplug, to put Monster Chess together at a cost of around $30,000. It can be played as human vs. computer, computer vs. computer, or human vs. human via the controlling computer. 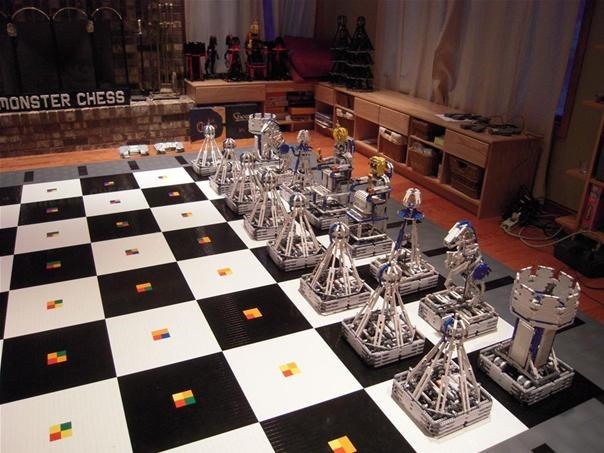 It uses international standardized rules from an enhanced version of the ChessBot software package. Check out the creators site here.